This book, “The Dead Game” would make an excellent horror movie. I just could not get enough of it and would love to see it on the silver screen. In fact, I think it would be even more fantastic in 3 dimensional. Just let me be frank with you here. Okay, wait. I still want to be me. Here goes. I honestly love watching TV, and I know what would make for a good show or movie. And as I was reading this, I was just so totally freaking out all through it, I could totally visualize everything. I know this book would be amazing as a Movie, you seriously need to read it, because you know it goes. When they turn books into Movies, they ruin them. And if the words are this good, you need to read them now! Another thing that I loved about this book, was the fact that it is portrayed in Oasis, Florida. As most of you know, I am I currently live in Florida. So I love it when books put Florida, or Ohio on the map, I’m in. This book, “The Dead Game” has Vampires, Beachfront property, a scary haunted mansion, dead bodies, romance and of course people. What a unique kind of mix. But let me tell you, never ever go to a place called: “End house” and never attend a party on a Friday night where the invitation envelopes are black. I mean if that doesn’t just say: “It’s going to get weird.” As a warning, then nothing will. I was so impressed, with “The Dead Game”, I couldn’t put it down. I give it five stars, it was just that exciting. If you’re anything like me, and enjoy horror, with a kick, then you need to read this. And you better be ready to get comfortable, because you’re not going to want to put this book down! It’s just that enjoyable. I have always been an avid reader. I grew up on Agatha Christie and Sherlock Holmes. In recent years, I began to read paranormal books. They bring fantasy and the surreal to life. But few combine paranormal with the classic murder mystery. I decided to write a paranormal, murder mystery of my own. It’s the type of book that I search for and love to read. Seven long years later, The Dead Game was born. The Dead Game has dead bodies and suspects like a traditional murder mystery. 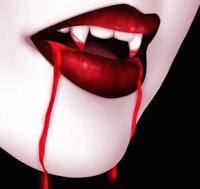 However, it also has humans, vampires, and vampire derivatives. 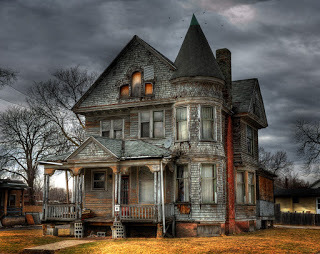 And don’t forget the haunted house—we must have one of these. The Dead Game is the first book of three books. The first book resolves the murder mystery, but at the same time, opens a Pandora box of new mysteries. Its surprise ending will lead to more surprises. I have just begun to write the second book. I have my outline and notes ready and waiting. My writing often leads me in unknown directions so I won’t know how the book will end until it does. But so far, the second book is slated to resolve the mysteries of The Dead in the United States. The last book will follow The Dead and their deadly activities abroad. I love to swim and read books. The murder of Roger Ackroyd by Agatha Christie was the first murder mystery I read. I was ten years old. Soon after, I read most of her collection. And she had one big collection. My love for murder mysteries continued with Arthur Conan Doyle and Alistair Maclean. These books taught me how to analyze clues and crime scenes. Today, my favorite authors are Brad Meltzer and Linda Fairstein. Brad Meltzer’s Zero Game prompted me to write my own book. He doesn’t write in a pompous way. He follows through with the plot and clues. I was inspired. What education have you had? My first career was in Finance. I have an M.B.A. in Finance. I worked in the fields of commodities, financial analysis, and budgeting. The creative side of me felt trapped and wanted to be set free. 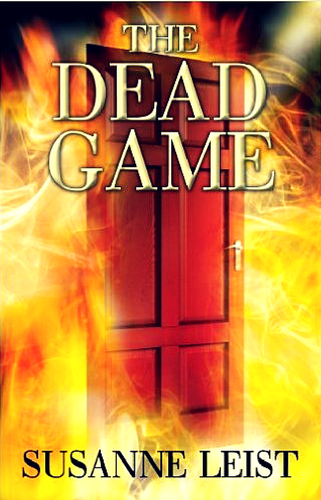 I listened and wrote my first book, The Dead Game, a paranormal mystery/thriller with vampires and human vampires. I am married with two beautiful daughters. My oldest is married and is a buyer. My second has just graduated from college. What do you suggest for anyone thinking of or wanting to write a book? The best advice for a new writer is to have everything in place before you launch your book. I had nothing ready when I was told that my book was being published. I had to learn how to use Twitter, Facebook, and Google. I created blogs. I read articles and books about marketing books. I now have blogs on Tumblr, Blogspot, and WordPress. It was a year later before I was able to sit back and take a breath. My advice to a new author is to have everything in place before your book is published. Blogs and online accounts should be open and ready. It shouldn’t be a surprise to anyone but an anticipated event. Are you familiar with Oasis, Florida? There could be a town in Florida, where residents hide during the day and come out at night. Dark shadows roam the streets after the sun sets for the evenings. Dead bodies roll in with the tides and settle in the white sand. Beach communities have the sunshine during the day and trade winds at night.The rest of the story could easily be the result of someone’s imagination: my over-active imagination. Death scares me, but not the type of death in my book. Death by a vampire is a good way for me to deal with my fears. Here’s to the bloodsuckers!